IM Sweden is one of the final races before the August cutoff for Kona Pro Qualifying. I have analyzed the situation for August Pro qualifying – who is currently in, who can still make it? IM Sweden is one of the single-gender European races (the counterpart is IM Copenhagen). Here are the links to the full analysis for the 2017 Male race and the 2016 Female race. The Course Rating for IM Sweden is 17:27. IM Sweden is a P-2000, WPRO-only race. It has a total prize purse of 40.000 US$, paying 10 deep. 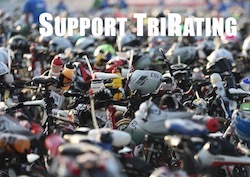 The strength of the field is 23% of a typical Kona field. A few of the athletes are unlikely to start, for example Tine Deckers and Maja Stage Nielsen have already secured their Kona slots in July.